Sgt. Maj. Bradley Kasal, USMC, Ret. 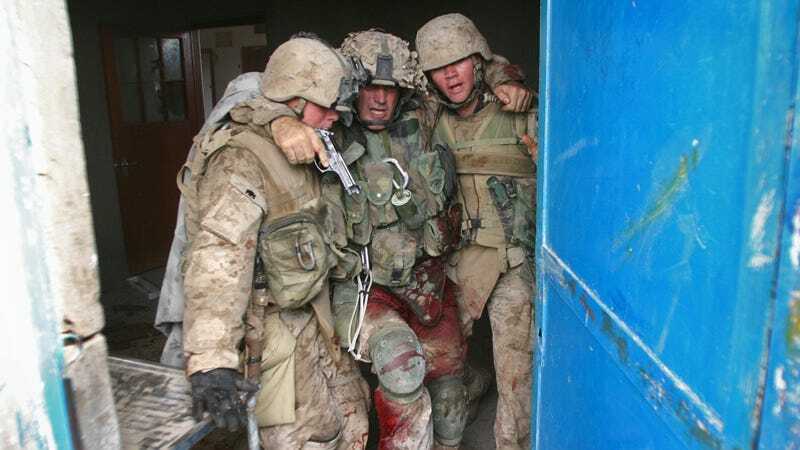 Hell House, Fallujah, 2004. Seven bullets and 43 pieces of grenade shrapnel. Threw himself bodily atop another marine to shield him from a grenade. 60% blood loss. Navy Cross recipient. Certified badass. Where do you go from there?